A high-concept human drama about love and letting go. A well-executed and heartrending 180 from traditional zombie movies. Oh well there you go. 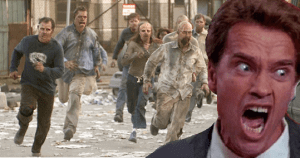 It’s clearly a movie about Tha Ahnold killing his way to a cure for his daughter’s zombification. After all, when has Arnold Schwarzenegger* ever been in a movie where bullets/knives/muscles aren’t the answer? Also included in a GIS for “maggie movie.” Thanks, internet, for jumping to conclusions hilariously as always. *Let it be known that I spelled his last name right the first time with no help. Scratch one off the bucket list. Maggie is an absolutely heartrending account of a young girl spending her last week on Earth with her family and friends as she slowly succumbs to zombieism (just like all recent zombie movies, there’s a medical-sounding name for the “disease” but let’s call a spade a spade). 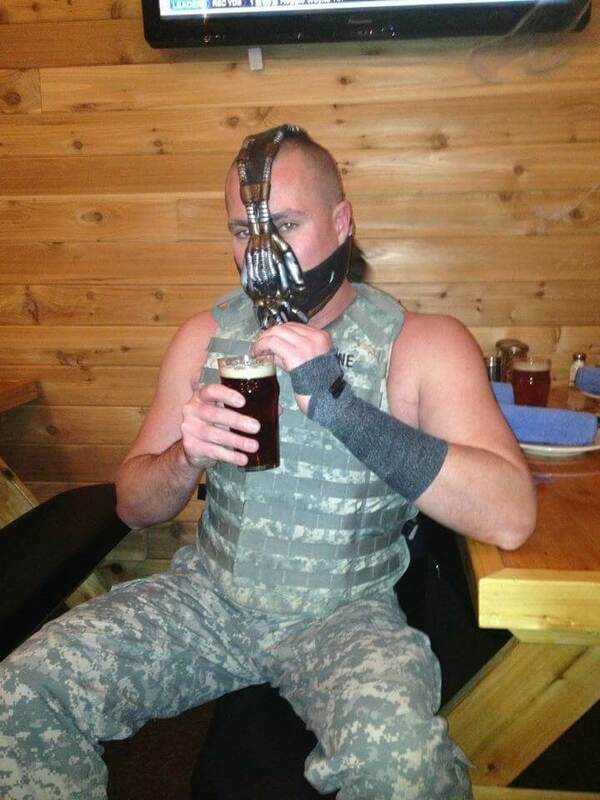 The fact the her father is played by Schwarzenegger is inconsequential. He barely even kills anything. Once again, the expectation going into this movie was that Schwarzenegger would dominate the screen time; that the movie would focus on the father character dealing with the impending loss of his daughter. 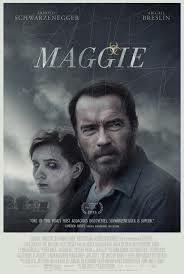 In truth, the movie (wisely) focused on Maggie’s struggles with her decent into zombiehood. She hangs out with her friends (some of whom are also infected). She takes walks in the woods. She plays on swing sets, gets injured, and cuts off her rotting flesh. On one hand, this movie could be seen as an allegory for the changes in adolescence and puberty. Maggie experiences changes in her body and strong desires toward previously repulsive things. In fact, the aforementioned scene on the swing set underscores this: she physically cannot do the things she loved as a child anymore. However, that metaphor pretty much runs off the rails during the walk in the woods where Maggie ravenously devours a live fox. Unless you and I had wildly different experiences with adolescence. Maggie is certainly not without its faults, however. Her (step? )mother, Caroline (Joely Richardson, The Patriot, Nip/Tuck) comes off as shrewish and cold; often trying to convince Wade to kill her or send her away, and in fact eventually leaving altogether. Maggie also has a couple younger siblings who are sent away at the very beginning. On one hand, I understand this choice as A) it makes sense in the world of the movie not to endanger them and B) it streamlines the story. But I also would’ve liked to see more of an exploration of that relationship. 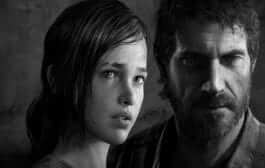 As it stands, the only two relationships explored are that of Maggie with her father and (briefly) of her with her friends. 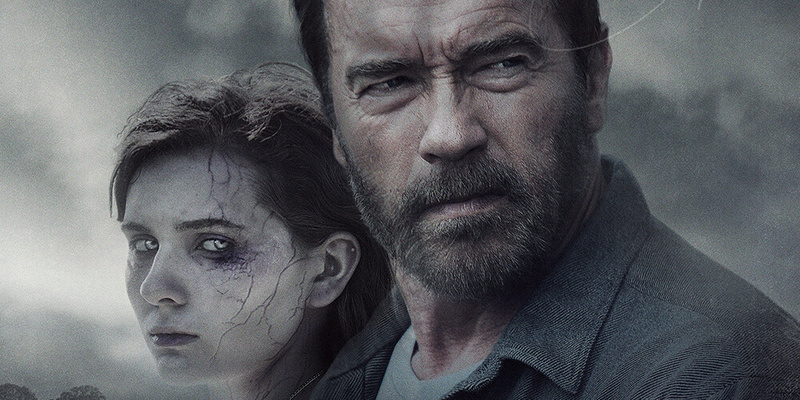 Don’t rent Maggie hoping for a Schwarzenegger-y blood bath. Don’t rent it hoping to see a man going to any lengths and sacrificing his life to find a cure for his daughter, like some kind of zombie Taken. Do rent Maggie if you want to see and excellent high-concept exploration of love and humanity. Do rent it if you want a complete 180 from the modern zombie genre. I will warn you, this movie will bring you to tears if you really pay attention. So don’t do what I did and watch it with your guy friends, unless you want to play “I just have something in my eye” for thirty minutes or so. Other than that, there is no reason not to watch this movie.